Faked in China is a critical account of the cultural challenge faced by China following its accession to the World Trade Organization in 2001. 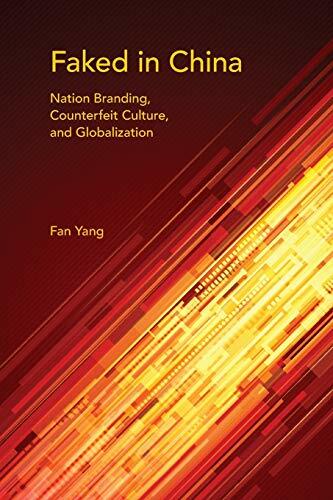 It traces the interactions between nation branding and counterfeit culture, two manifestations of the globalizing Intellectual Property Rights (IPR) regime that give rise to competing visions for the nation. Nation branding is a state-sanctioned policy, captured by the slogan "From Made in China to Created in China," which aims to transform China from a manufacturer of foreign goods into a nation that creates its own IPR-eligible brands. Counterfeit culture is the transnational making, selling, and buying of unauthorized products. This cultural dilemma of the postsocialist state demonstrates the unequal relations of power that persist in contemporary globalization.